Theater for the New City is presenting its annual Lower East Side Festival of the Arts, a massive annual performance marathon in and around the theater, May 24-26. The three-day, free downtown arts festival includes hundreds of well-known and emerging artists ranging from theater to dance, music to movies, a street fair and art exhibit and even a kids’ program. As part of the festival, Tilted Axes: Music for Mobile Electric Guitars will be performing on Saturday the 25th and Sunday the 26th. 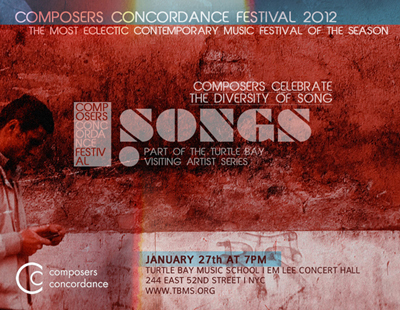 With a 28-year history of leading-edge concert production in NYC, Composers Concordance presents The Composers Concordance Festival 2012. This will be a whirlwind of five innovative contemporary music concerts in ten days, including over 40 of NYC’s most distinctive and accomplished composers. This festival spotlights the composer in different contexts, engaging the audience and performer in the creative process, and contending with the dizzying multiplicity of styles within today’s music scene. All the while, Composers Concordance puts a premium on distinguishability, that factor by which we remember and denote individual identity – and it’s that aspect, the distinction and breadth of the composer’s message, on which we’ll chiefly focus. The first concert, ‘Songs‘, shows the various vocal styles the composer writes songs for. From the traditional western classical soprano and baritone, to the modern pop/r&b diva, to voices of other world cultures that stretch the boundaries of notation and pitch. 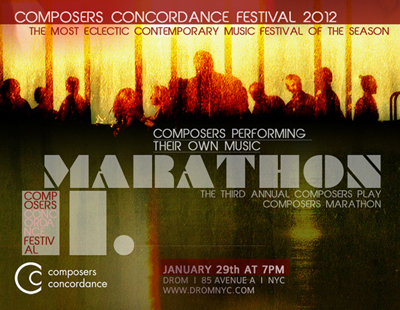 ‘The Composers Play Composers Marathon‘ shows the composer as a performer of his or her own music. A common practice in baroque, classical and romantic periods but rarer in the mid 20th century. Toward the end of the century and into the new 21st century, the art of the composer-as-performer is re-emerging, and on this marathon we hear no fewer than 27 composers interpreting their own works. 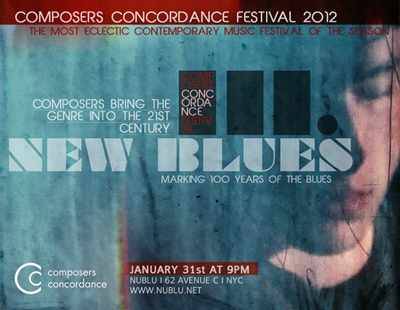 ‘New Blues‘ asks the composer to show his or her compositional skill and voice in this very particular genre that influenced so much of the music in the 20th century. With the 100-year anniversary of the first publication of a blues piece by W.C. Handy, we look at how the 21st century composer is influenced by this style. 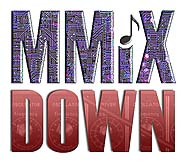 The development of technology was quick in the 20th century, and it inspired composers to create brand new timbres and sonorities with the possibilities electronic manipulation of sound provided. 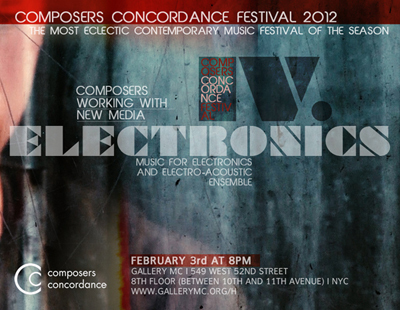 We see what the 21st century composer has to offer to progress further the art of computers, amplifiers, and circuits in the ‘Electronics‘ concert of the festival. With the final concert: ‘Ensemble‘, we witness the composer in an ensemble setting, performing each others’ music. 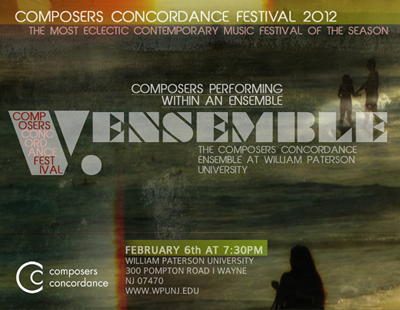 The ensemble in question is the Composers Concordance Ensemble (which is the ensemble-in-residence at William Paterson University), made up of the directors of comp cord as well as regular performers and composers associated with the group. Tilted Axes: Music for Mobile Electric Guitars is Relaunched in Detroit! I Care If You Listen A blog about new classical music, art and technology.